. . . 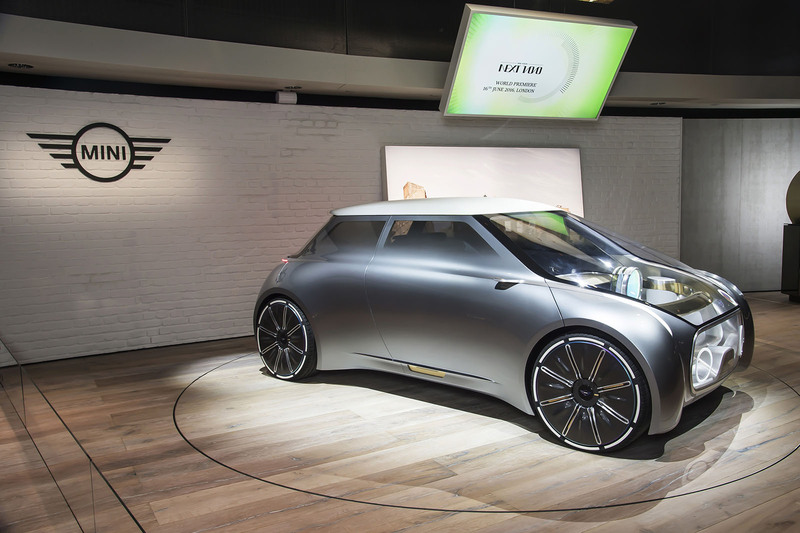 Unlike the BMW concept which focused on autonomy, the key idea behind the MINI VISION NEXT 100 is responsible use of resources for personal mobility. The motto “Every MINI is my MINI” is about innovative car-sharing, with MINI fans of the future able to access and tailor any MINI to their own personal preferences, anywhere and at any time. The MINI will be available to everybody at all times, picking drivers up autonomously from wherever they like and adjusting the car’s appearance, driving characteristics and connectivity to suit the user’s personal lifestyle. New, customised mobility with the MINI VISION NEXT 100 builds on connected digital intelligence. . . .